Rack mountable 1, 2, 4 or 8 HD or SD Channel System in Single Server. 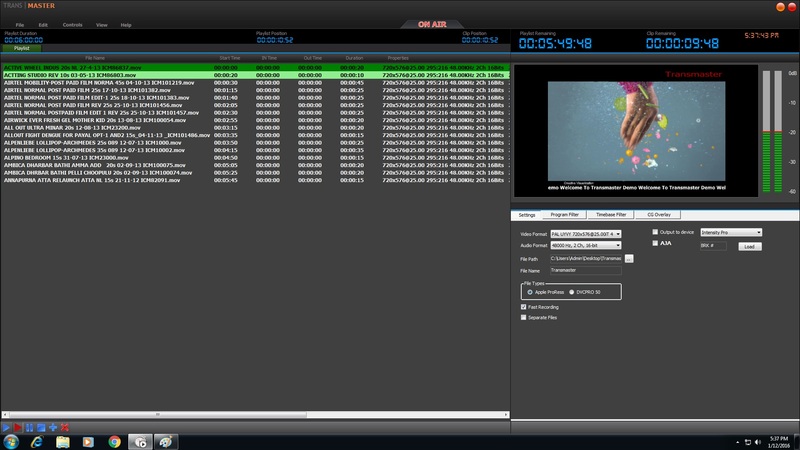 Multi channel Recording with different media files in a single server. File splitting is based on time or schedule. 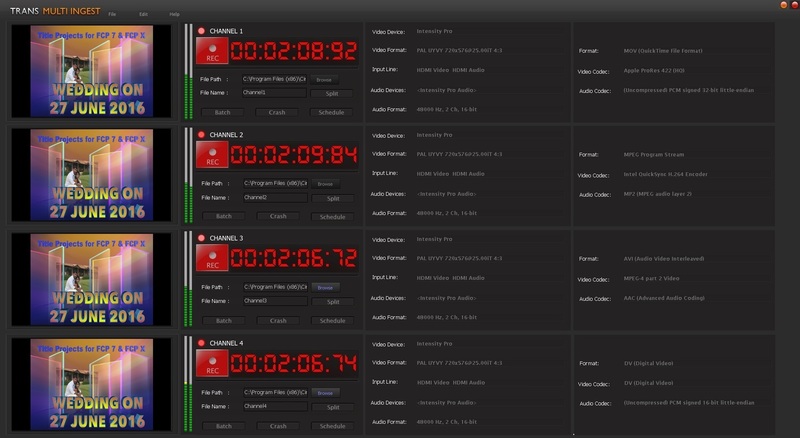 Scheduled capture is independent for each channel. Program Name & Date/Time stamping on the recorded content. Auto Start, Auto Split to record and schedule event for file duration. To any output source like Decklink, Intensity, AJA and etc, Source detected to select video & Audio Format. Playback-while-recording, Playback will work even if recording was stopped. Fast Trans code is 5X Speed of Your Playlist Duration. Easily Import the .xls files. Two types of Filters are used. All the programs & Breaks are load. Select the Breaks to Click Load program or Load particular break wise programs are loaded. Auto capture is enabled, all breaks are capture automatically. Mention Start time & End time to refresh particular break or full list. then started to capturing process. Select video & Audio format as per user choice. File name is automatically detected from Program Name. File path have to browse your location. User Selection for file capturing is Separate File and fast Capturing. Overlay animated logo, crawl etc. with native Alpha channel. Fast Capturing is started in 5X Speed. where your cursor is pointed to a file, in that file is started to Normal play. pause the file in our playlist. currently played a file in playlist should be stop.